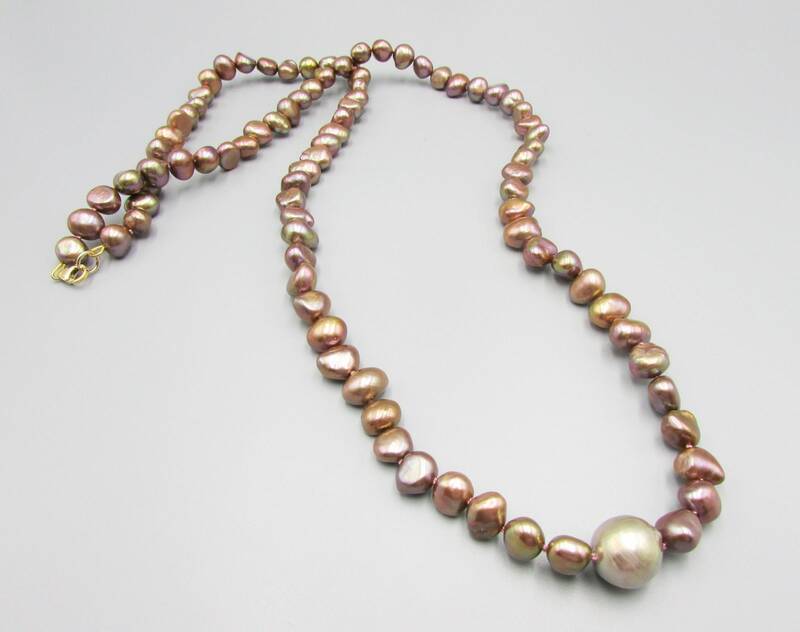 This stunning long brown pearl necklace is hand knotted on 100% pure silk thread and has a beautiful large light bronzy Edison pearl as a focal point. 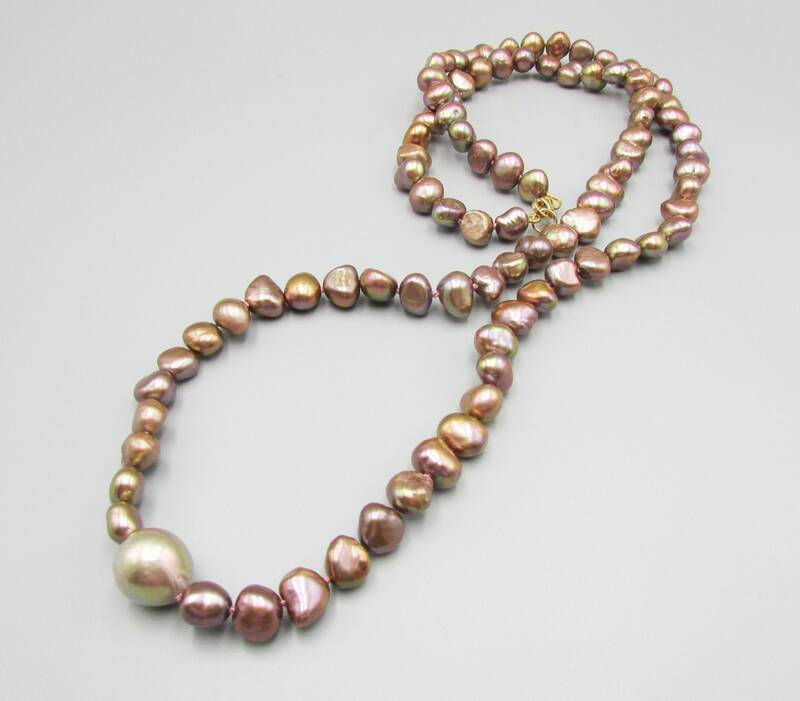 The silk thread is doubled and knotted between each nugget pearl for beauty and finished with 14kt gold filled lobster clasp. 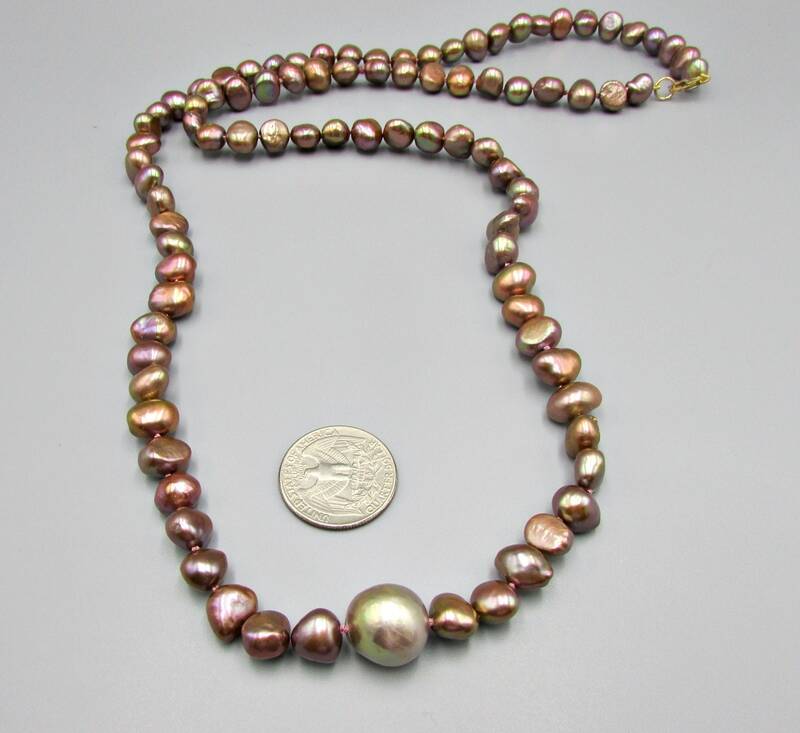 The length is 34 inches. 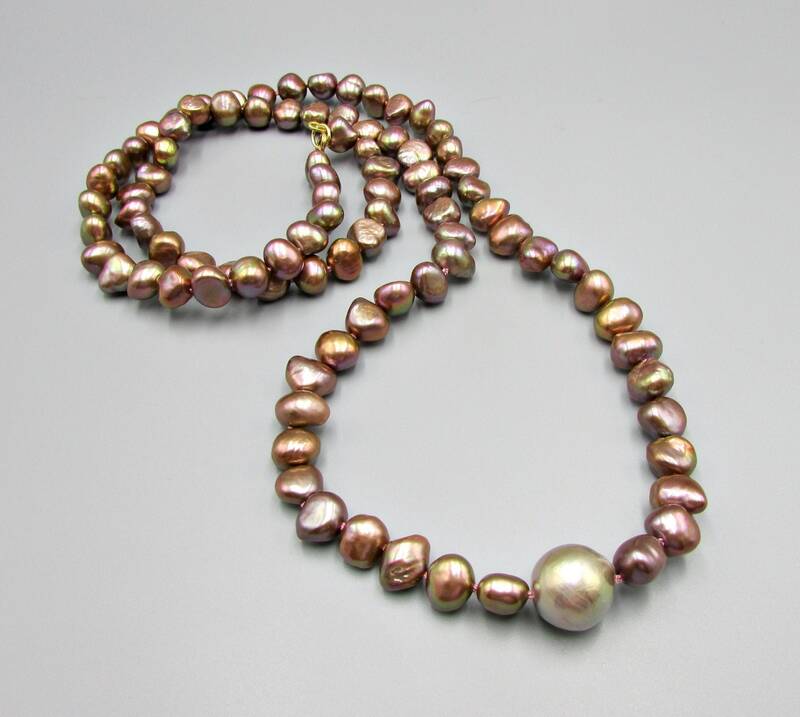 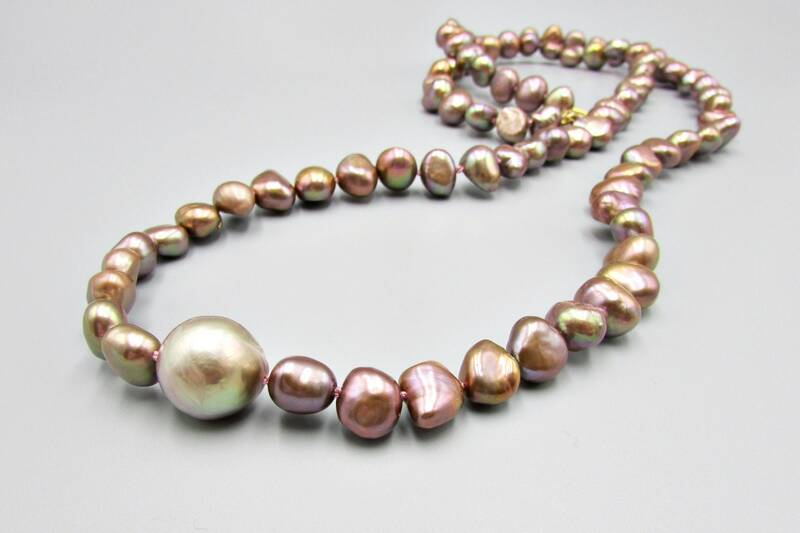 The pearls have a gorgeous luster and shine in shades of copper, brown and bronze and are 9mm to 10mm in size. 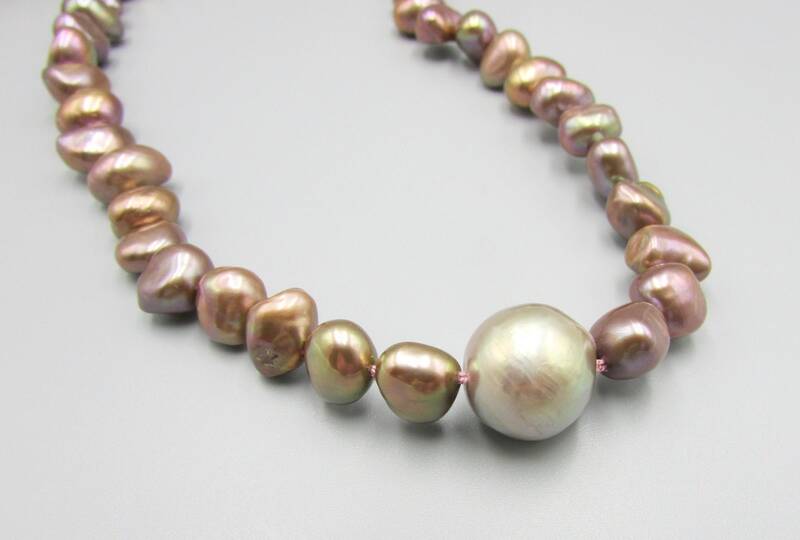 The edison pearl is 13 mm. 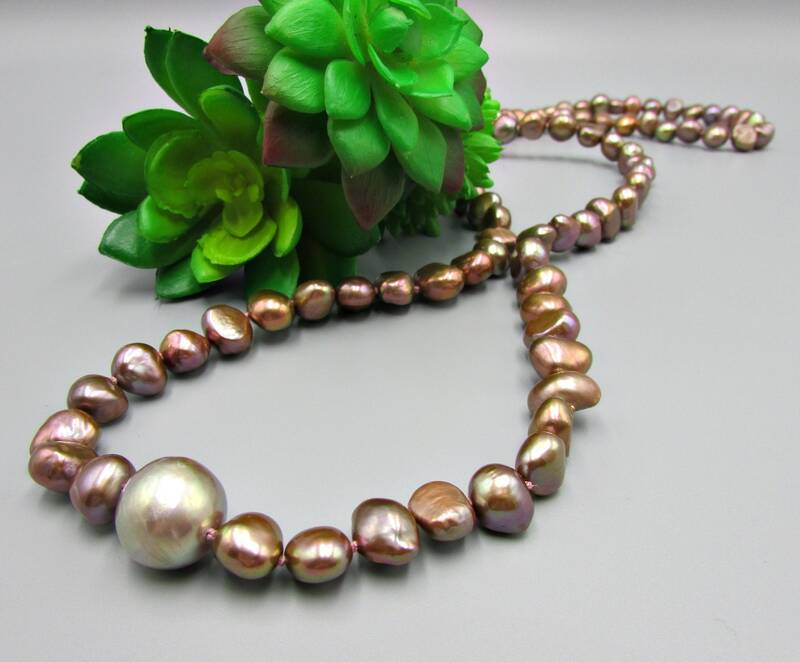 Perfect for everyday and stacking with other necklaces.